2 yr old Oakwood 2-story located in the desirable NEWER section of the Thompson River Ranch. Chockfull of custom features! Upgraded lighting & cabinets, Granite & stone throughout, SS Appliances, gas stove, Whole house humidifier, Fiber op. high speed internet, & whole house telecom package. Bask in the natural light from large windows as it pours into this open concept home. 2nd floor loft & laundry! HERS rated & upgraded a/c add extra savings each month. Basement w/ rough-in is waiting for your expansion ideas. Prof. landscaped & completely fenced yard. Take advantage of living in Colorado and get outdoors! Enjoy TRR's neighborhood disc golf course, pool, walking trails & more. Shopping, restaurants, and ALL of the amenities are just a hop skip and a jump away at Centerra and Northern Colorados up and coming hot spots in Johnstown Plaza. Ride the 3 story ferris-wheel @ Scheels just minutes away! 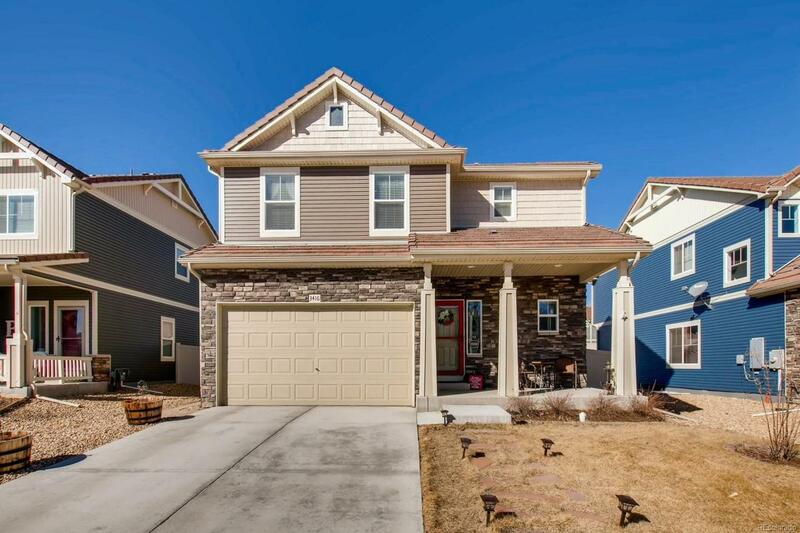 Great commuter location w/ easy access to Denver, Longmont, Loveland, & Ft.Collins.